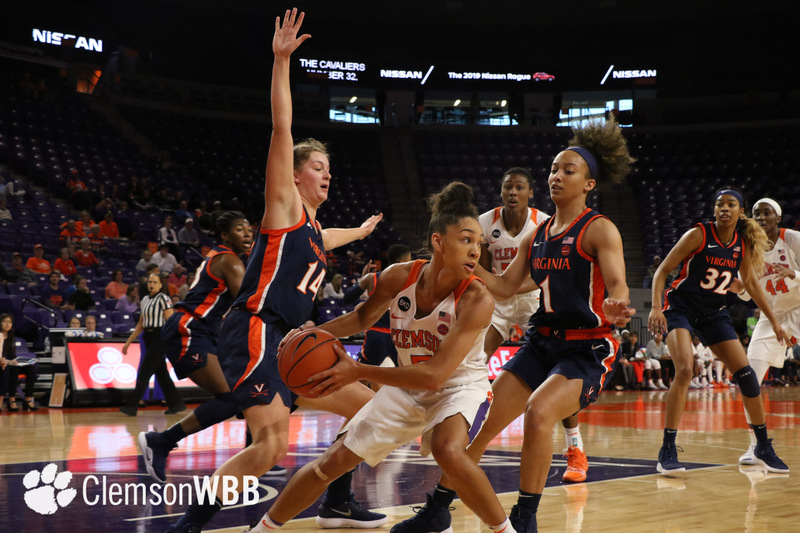 CLEMSON, S.C. — Notching their first conference win of the season, the Clemson Tigers (10-5, 1-1) outscored the Virginia Cavaliers (6-9, 0-2) by eight points in the fourth quarter to claim a hard-fought, 71-65, victory. 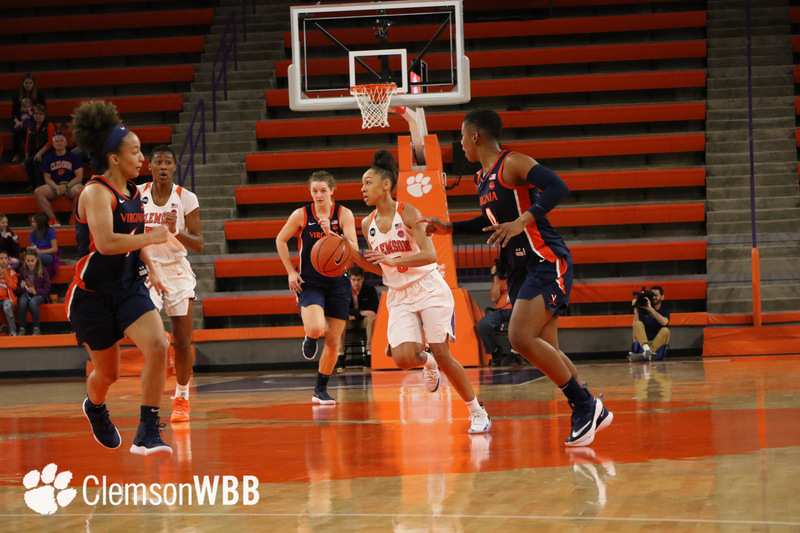 Guard Simone Westbrook and senior Aliyah Collier came up clutch for the Tigers in the second half, serving as the difference makers on both ends of the floor. 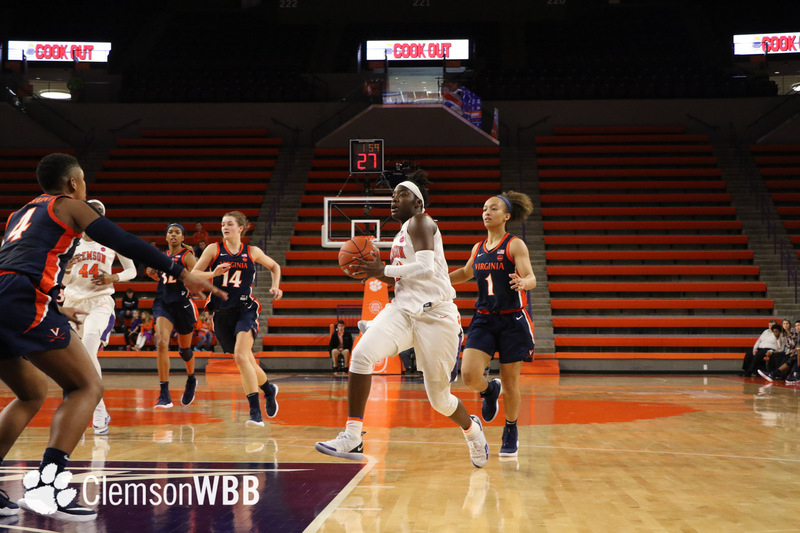 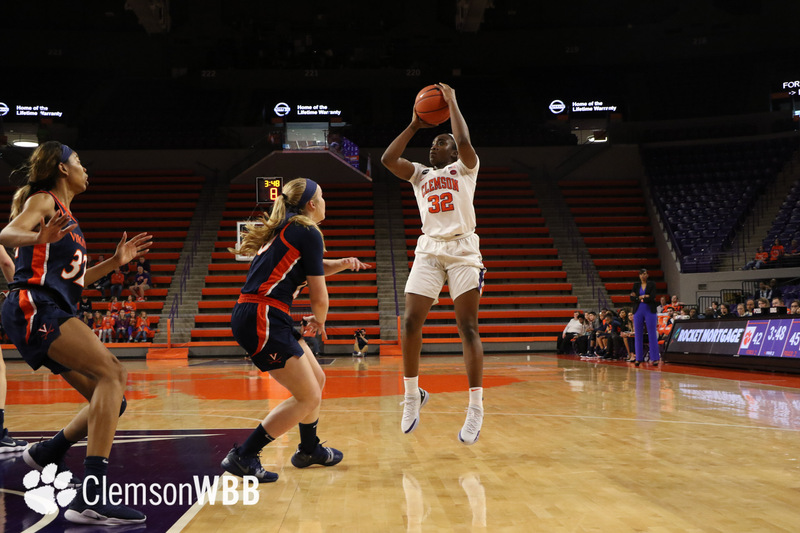 Manufacturing her most complete performance of the season, Collier finished with a season-high 13 points to go along with her seven rebounds, six of which were of the offensive variety. 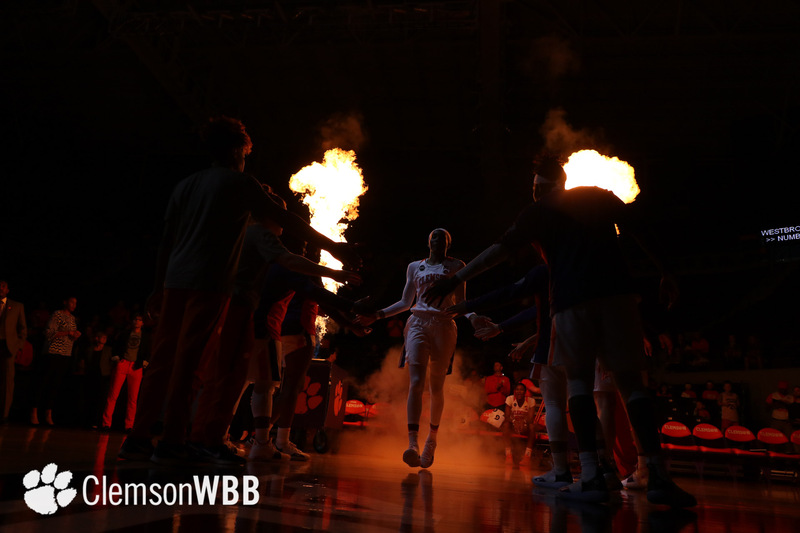 Westbrook accrued seven boards, as well, and served as the leading scorer with 21 points on 7-of-9 shooting. 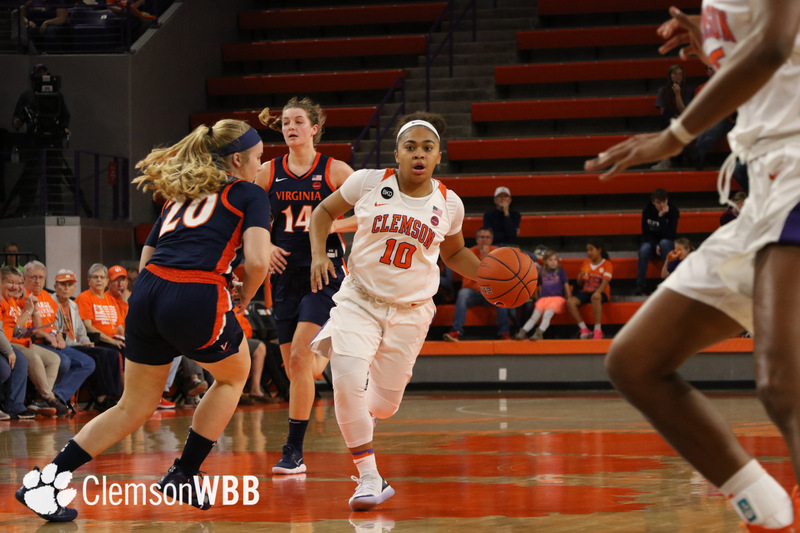 Senior floor general Danielle Edwards 17 points for her 50th career-game scoring in double figures. 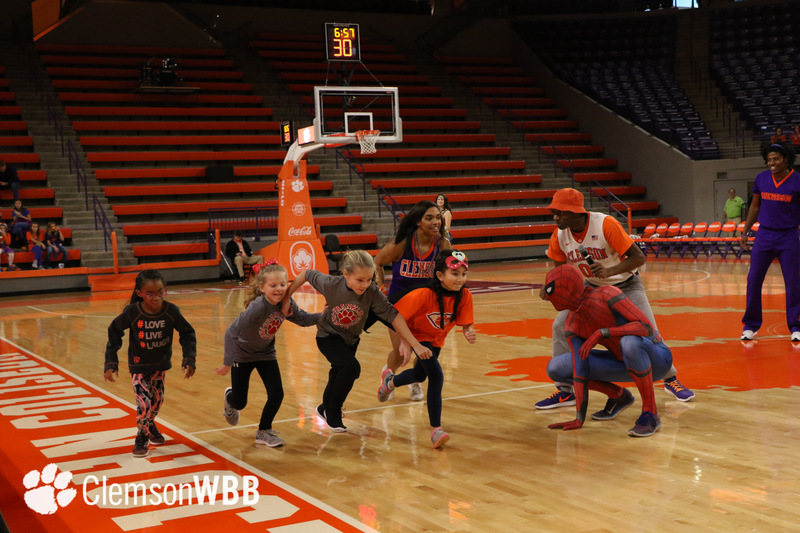 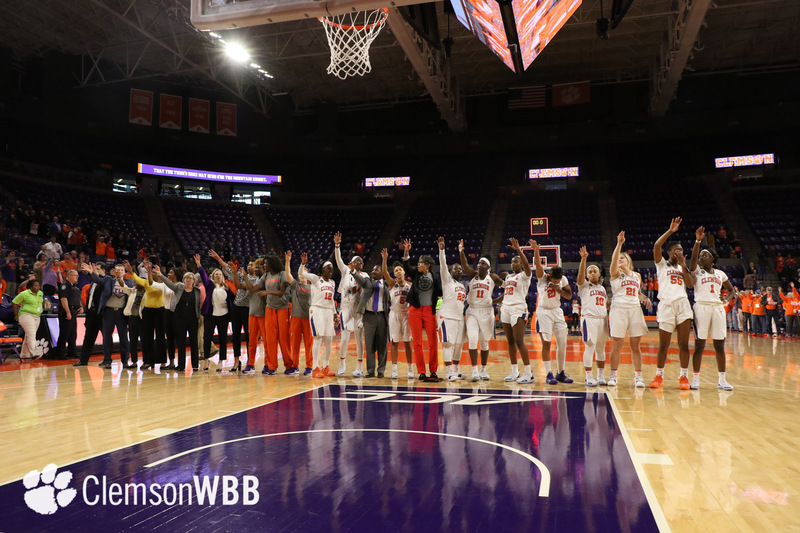 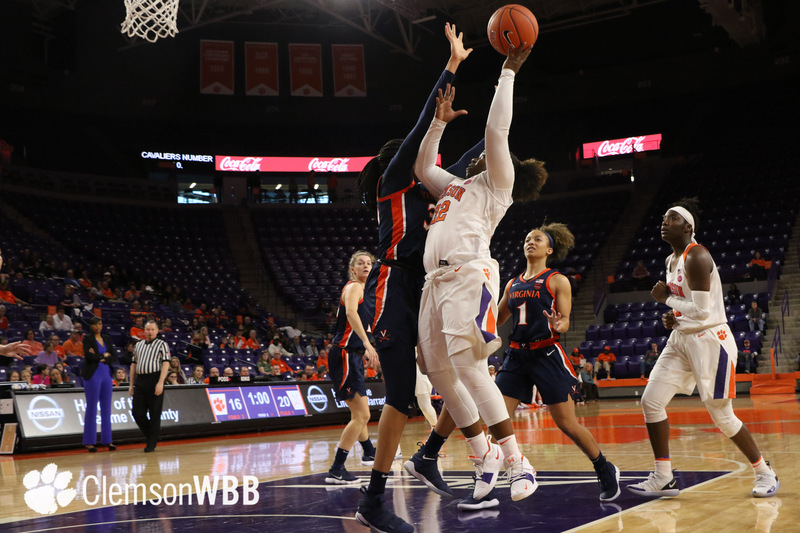 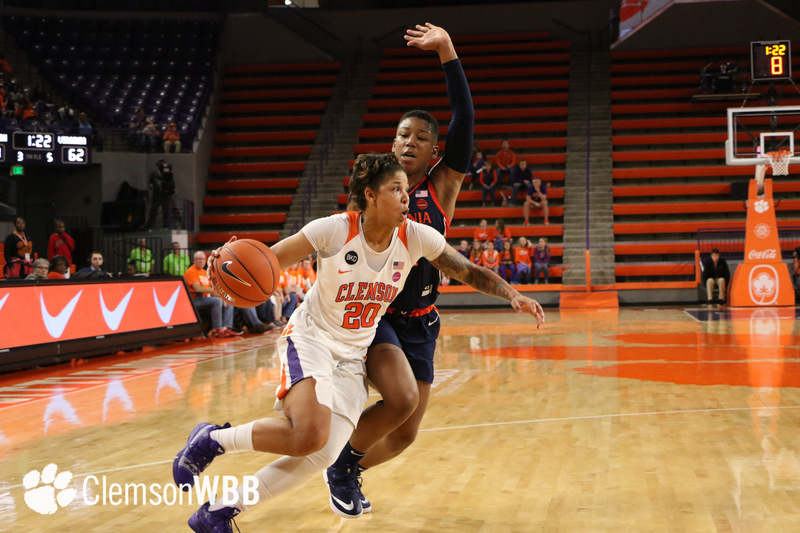 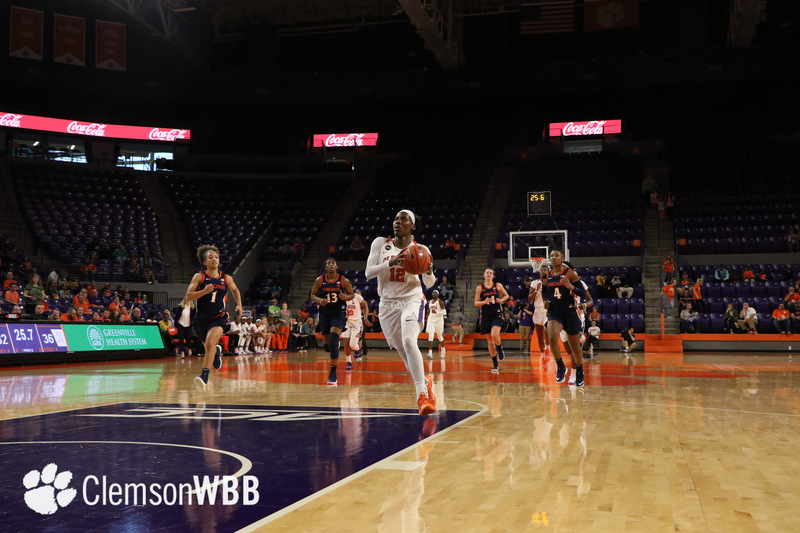 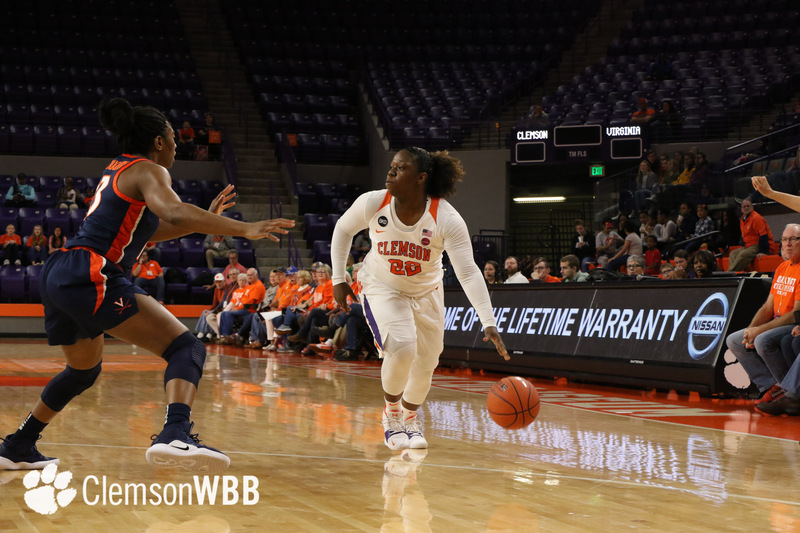 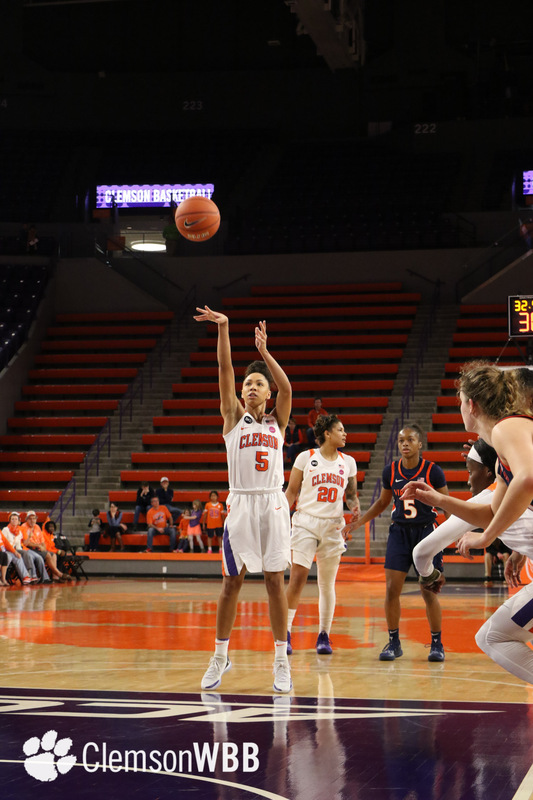 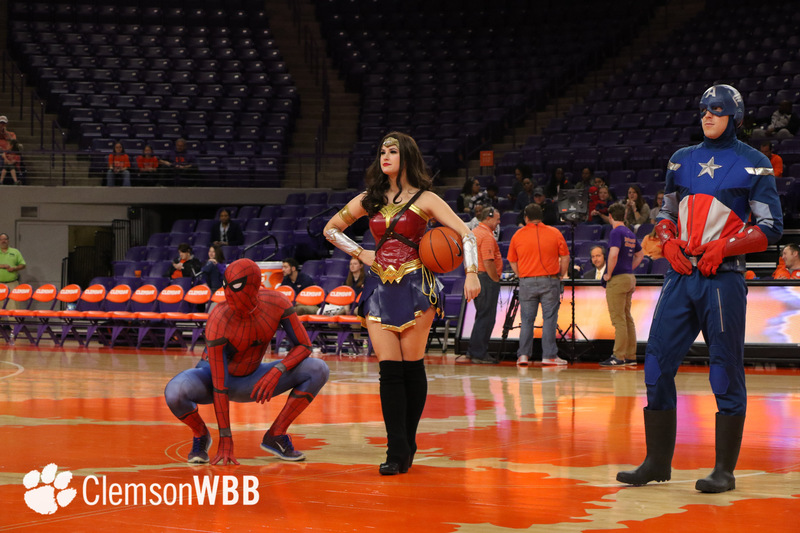 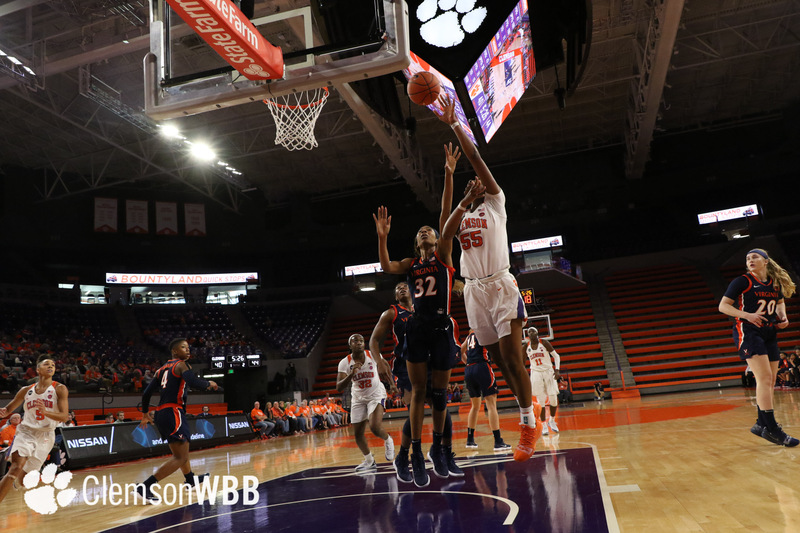 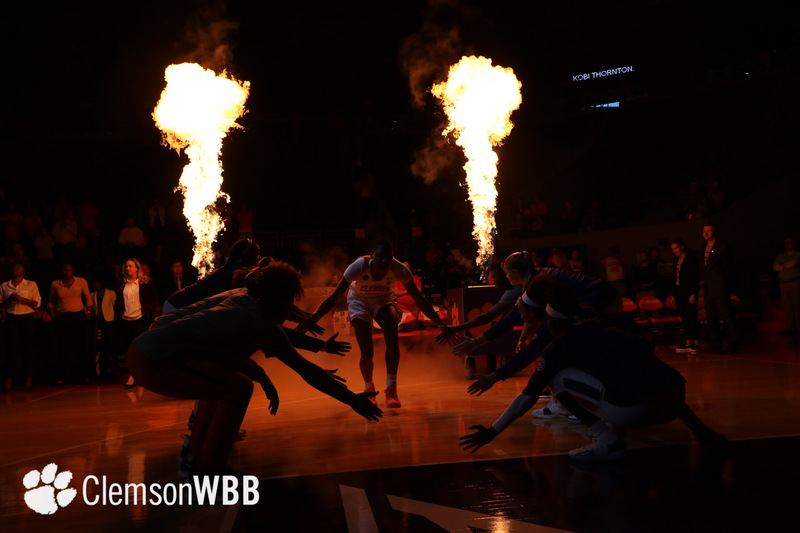 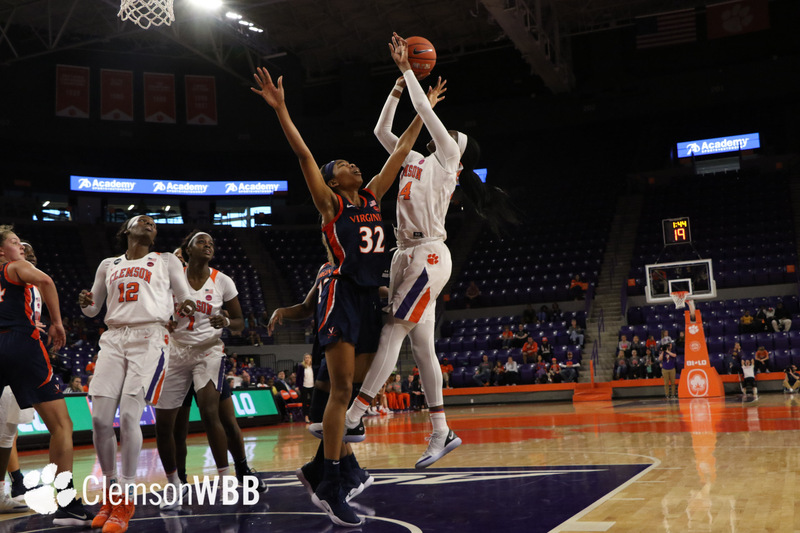 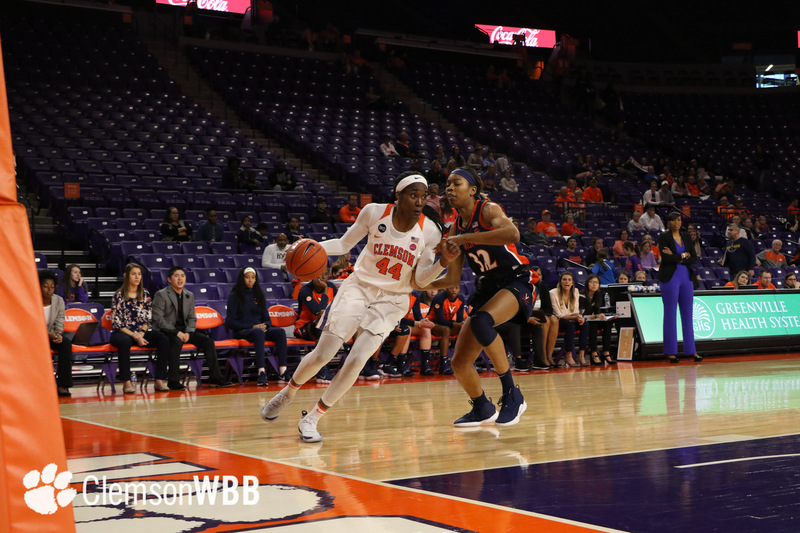 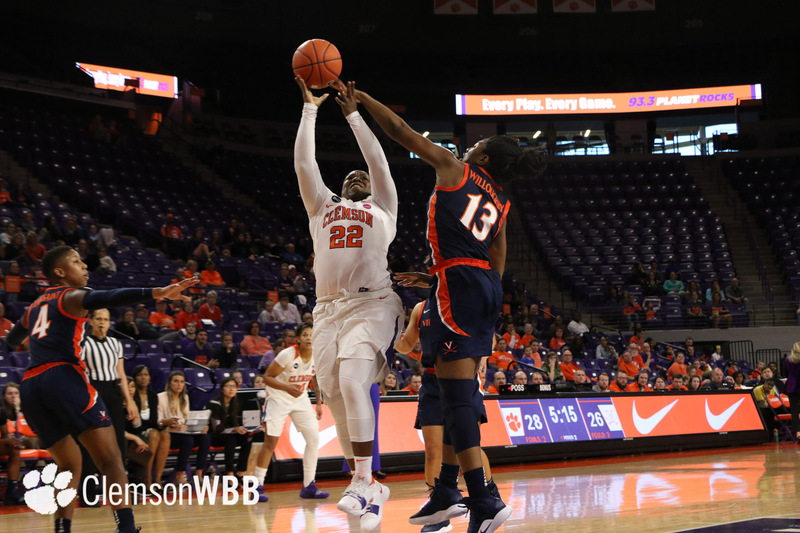 Clemson attacked the lane from start to finish, registering a total of 38 points in the paint and connecting on several difficult layups along the way. 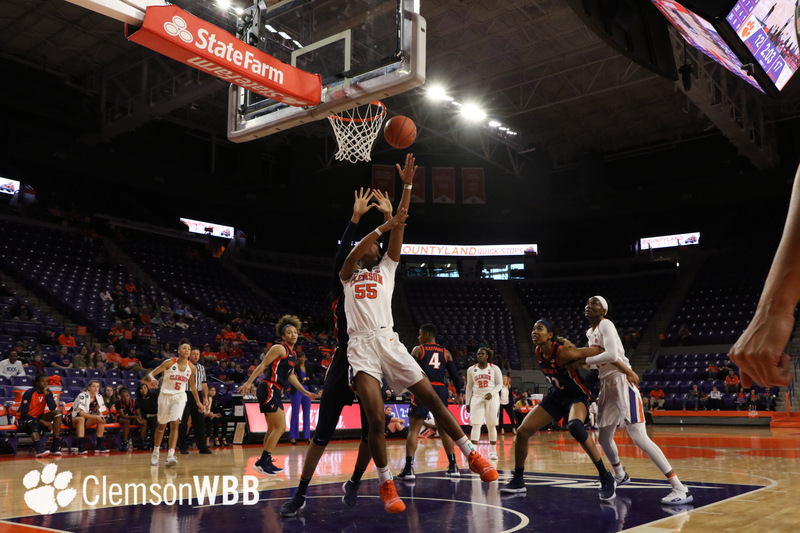 In the backcourt, the Tigers benefited from an intense defensive showing, forcing 24 turnovers and taking a key charge in the final minute of the game. 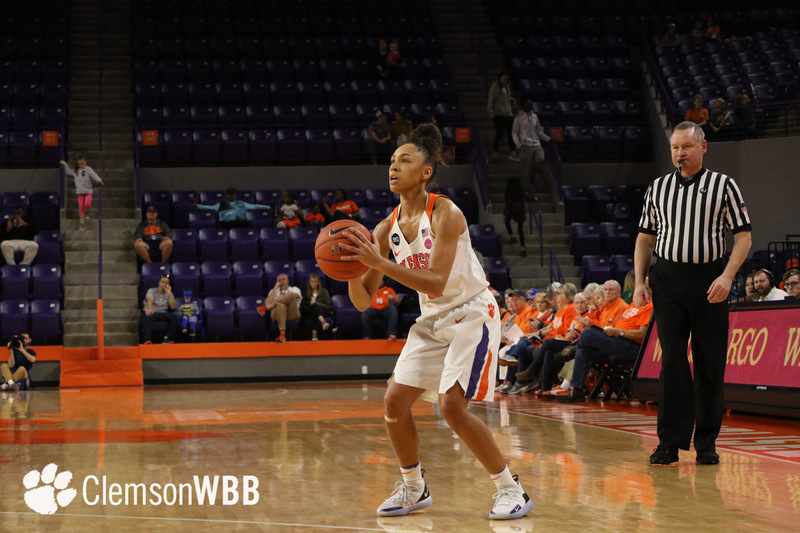 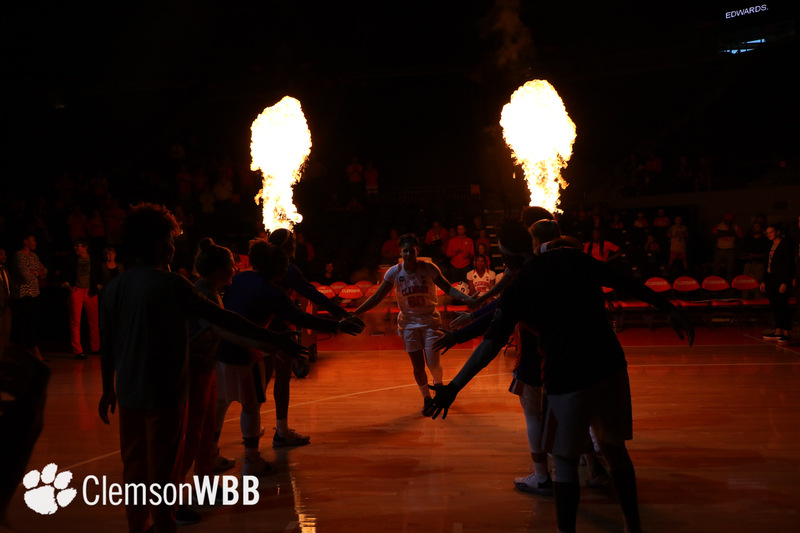 Following an evenly matched first half that saw the Cavaliers up 36-34 at halftime, Collier served as a spark plug for the Tigers in the third quarter. 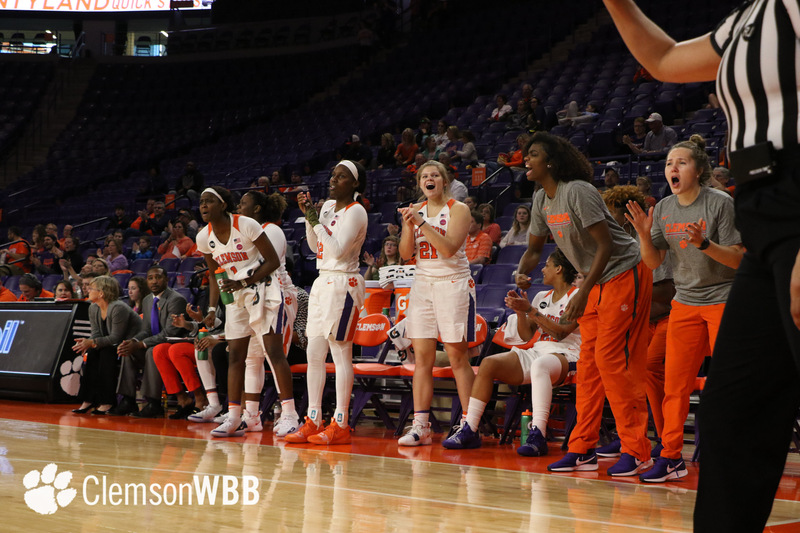 Late in the period, Collier hit a putback layup to put the Tigers ahead 56-54 heading into the fourth quarter. 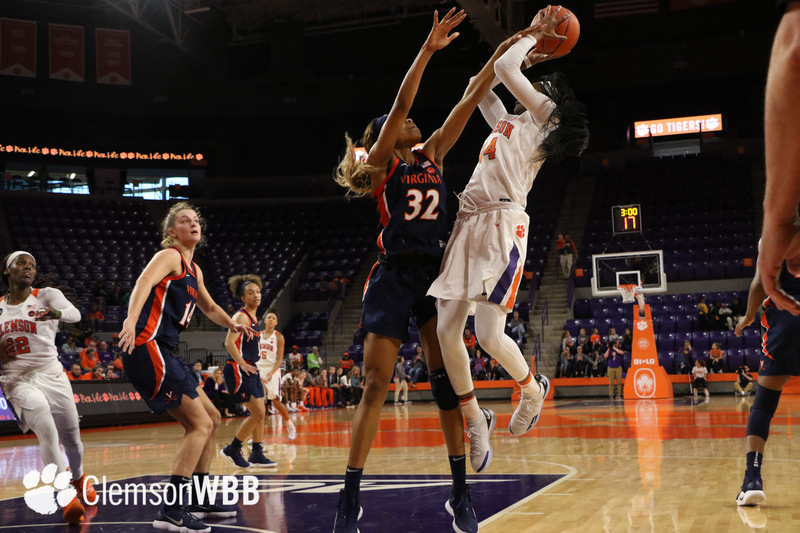 The senior set the tone for Clemson’s defense with a huge two-handed block at the seven-minute mark in the fourth. 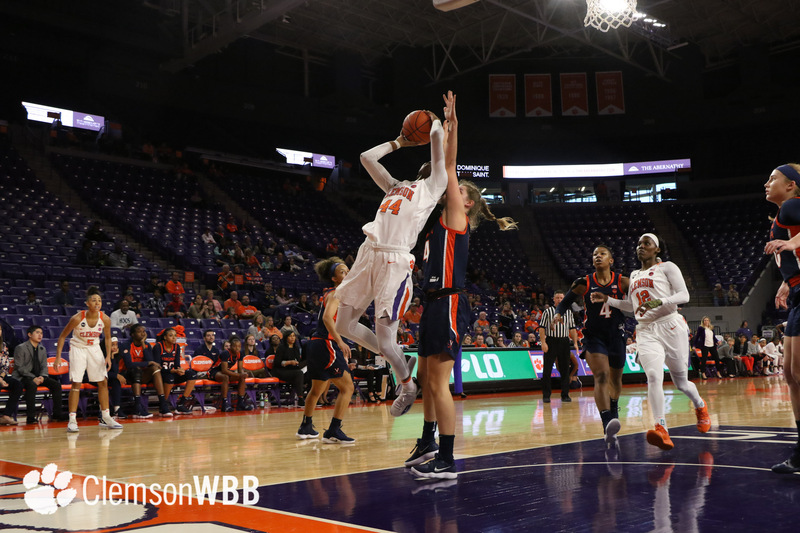 With 2:47 left to play in the game, Westbrook battled through traffic for the layup and drew the foul for a chance at the 3-point play. 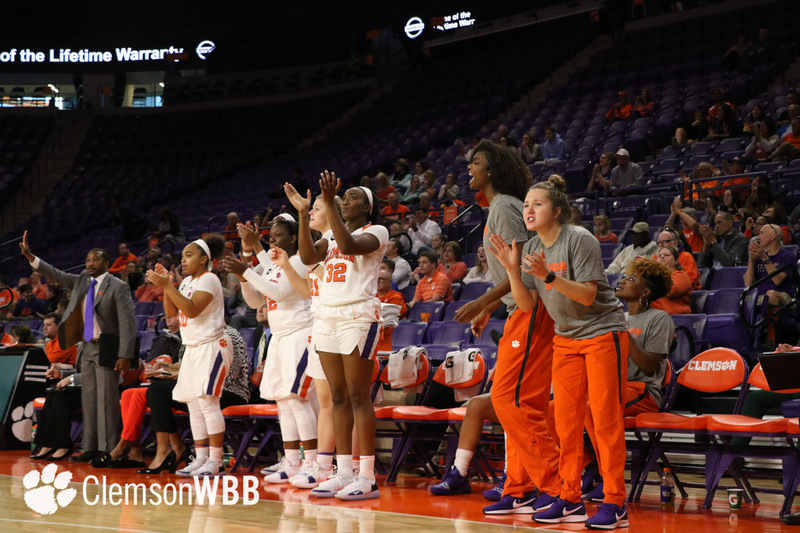 The ensuing made free throw put the Tigers ahead, 64-62 and gave Clemson momentum down the stretch. 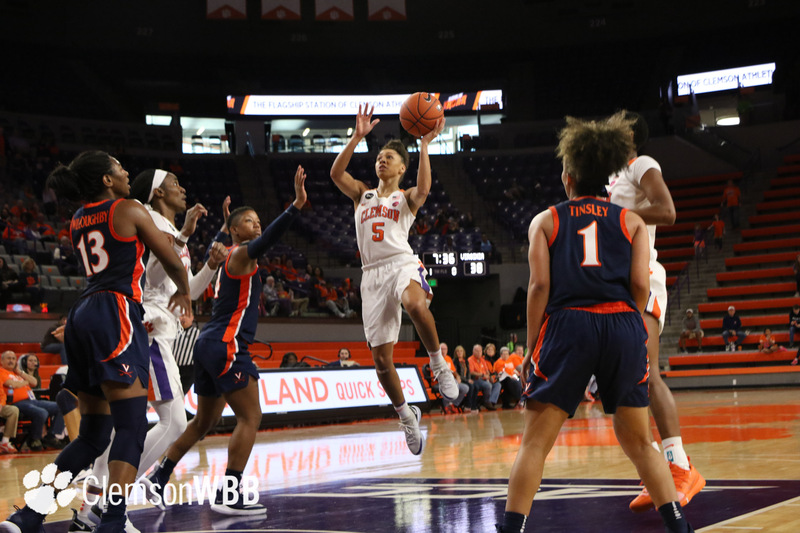 A late floater and a pair of free throws by Westbrook paved the way for a six-point triumph for the home team. 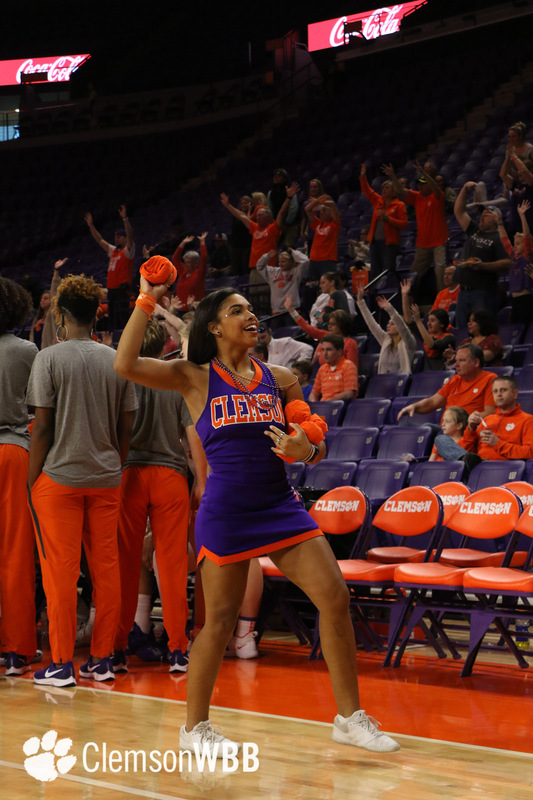 Clemson aims to earn its first true road victory of the season when it faces the Miami Hurricanes (14-3, 2-0) on Thursday, Jan. 10, at the Watsco Center. 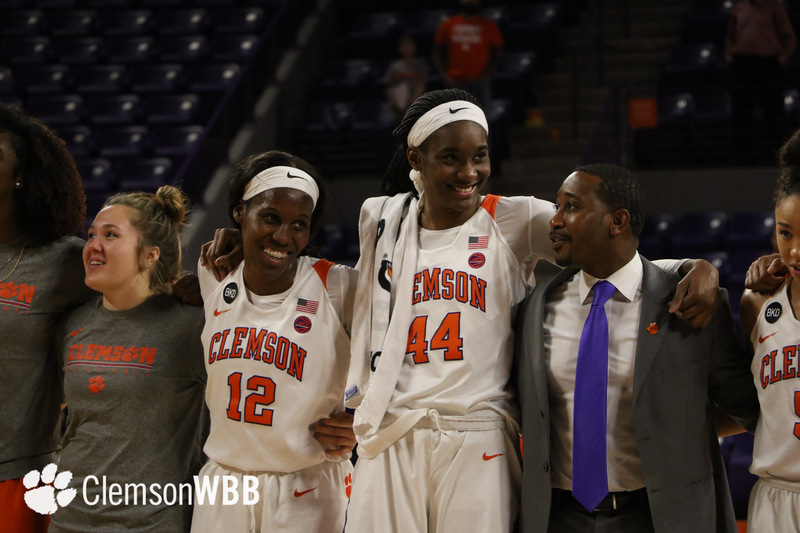 The conference matchup is scheduled to start at 11 a.m. and will be broadcast on ACC Network Extra.